If you have any questions about the Explorer 40.22 information page below please contact us. Built by Cantiere delle Marche, 42m/ 137ft explorer yacht 40.22 is a bespoke vessel designed by Tommaso Spadolini and with naval architecture and engineering by Hydro Tec. 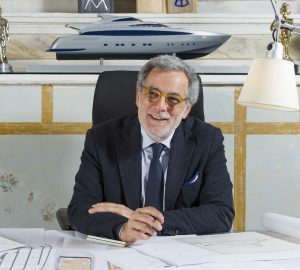 The interior and exterior styling was also created by Tommaso Spadolini, offering 14 guests sophisticated surroundings and accommodation over seven magnificent cabins. The main deck aft provides an alfresco lounge where guests can dry off and dine after swimming in the sea. The upper deck aft hosts the alfresco dining table and plenty of seating for outdoor relaxation in the sunshine or shade. Forward, the Portuguese deck in front of the helm station receives plenty of sunshine and a plush sofa and table ensures guests have a comfortable area to rest outside with drinks or personal items while enjoying the views. The sundeck offers elevated views of the surroundings and makes a great observation area on expeditions. Tommaso Spadolini used a brief of 'understated elegance' to create the contemporary interiors, forming uncluttered and functional environments that retain a sense of warmth. The lower deck contains the guest accommodation, consisting of two VIP staterooms and four further guest cabins. The crew accommodation is also to be found on this floor. 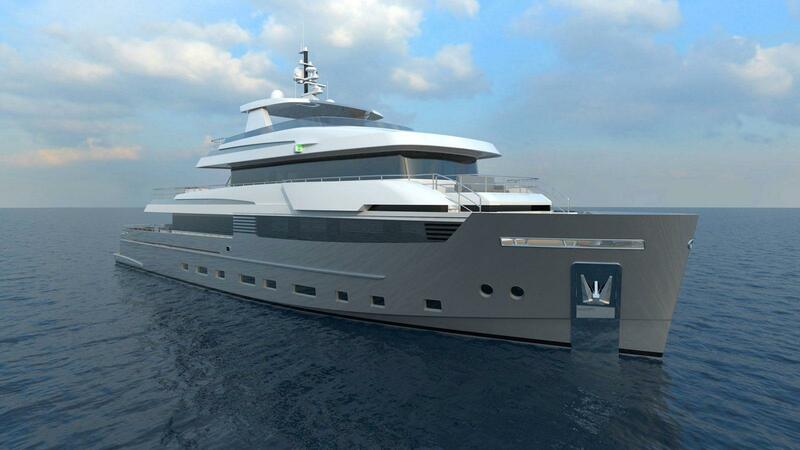 The main deck places the Master suite forward and the full-beam layout contains a spacious en-suite bathroom. The main salon and formal dining area are located aft. Twin Caterpillar C32 Acert engines provide a top speed of 14 knots and a range of 3,500 nautical miles at 10 knots. The accommodation sleeps up to 14 guests across 7 modern cabins: 1 Master suite, 2 VIP staterooms and four further guest cabins. The crew accommodation sleeps 7. We do have available further amenity, owner and price information for the 42m (137'7) yacht Explorer 40.22, so please enquire for more information. The luxury yacht Explorer 40.22 displayed on this page is merely informational and she is not necessarily available for yacht charter or for sale, nor is she represented or marketed in anyway by CharterWorld. This web page and the superyacht information contained herein is not contractual. All yacht specifications and informations are displayed in good faith but CharterWorld does not warrant or assume any legal liability or responsibility for the current accuracy, completeness, validity, or usefulness of any superyacht information and/or images displayed. All boat information is subject to change without prior notice and may not be current.